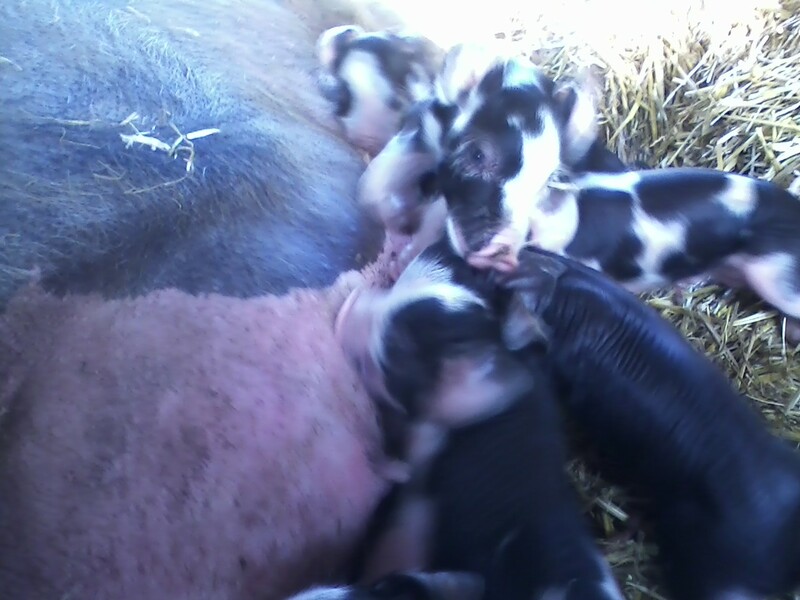 A few hours old–and Hungry!! 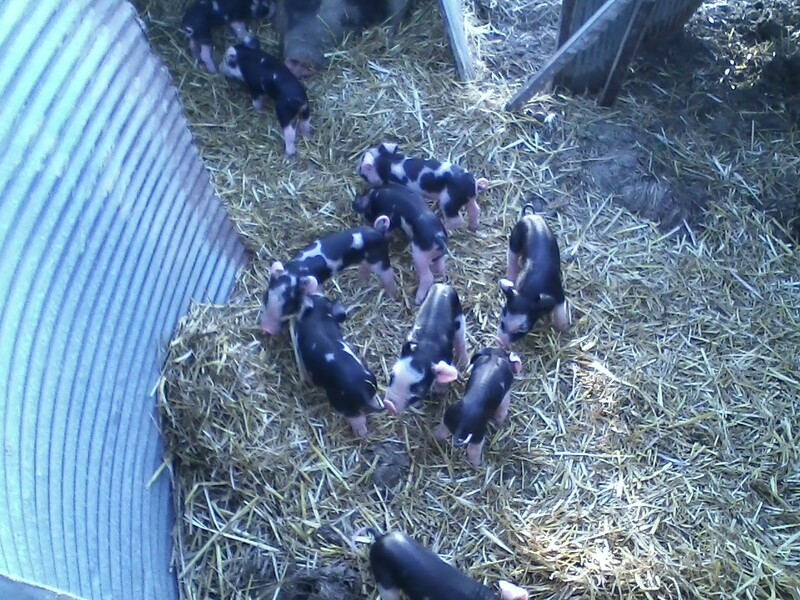 Now a week old they are starting to get out and about. 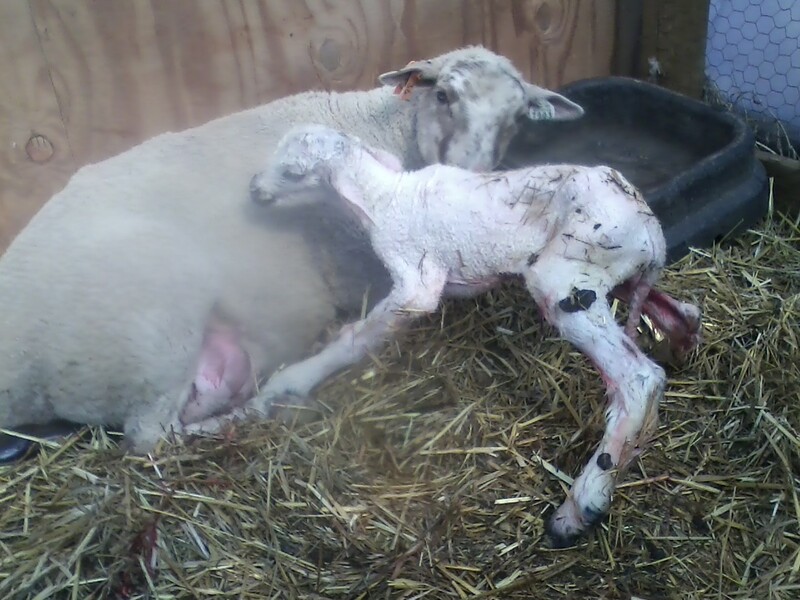 The sheep have been taking things quietly and many mommas that I thought sure would have lambed by now are still just getting bigger! 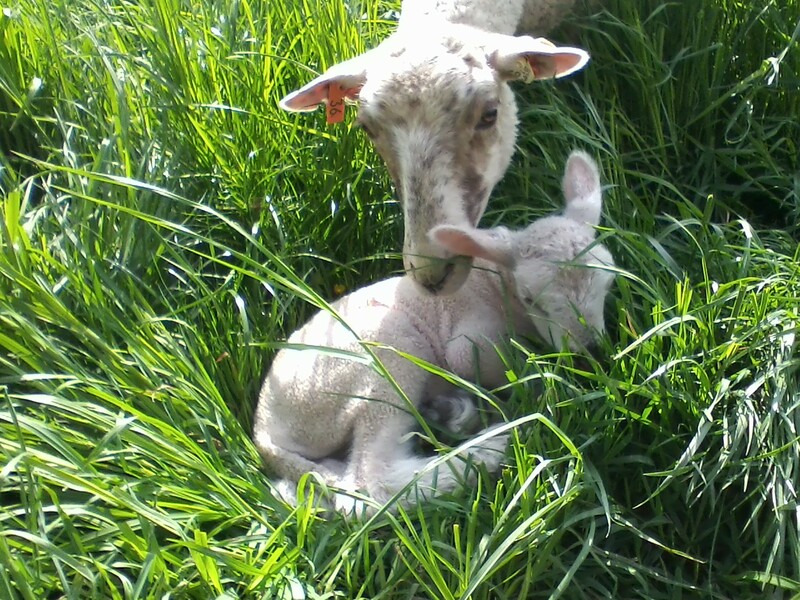 Still waiting for “big Debbie” to kick it in gear…she had 5 lambs a few years ago! “Sarah” getting some loving from Mom…she is the favorite–and she knows it! 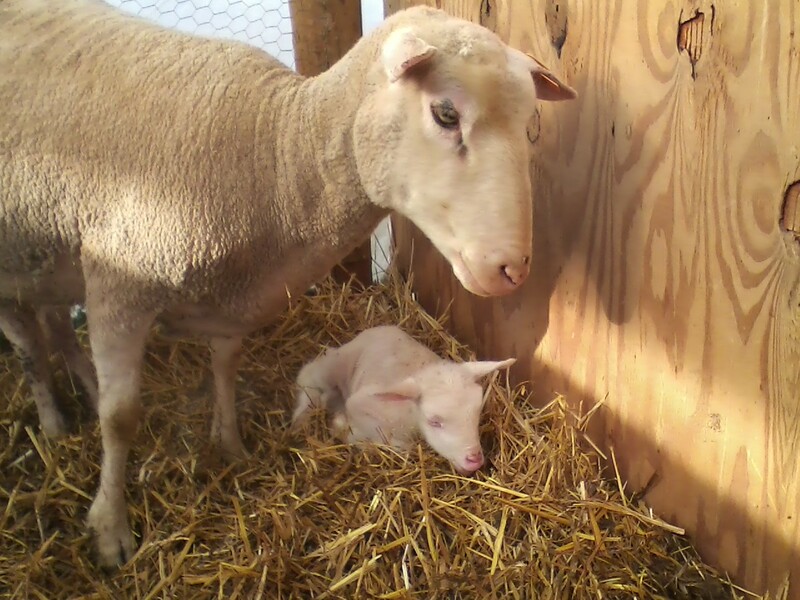 “Prissy” was the first to lamb this spring–here she is in the barn with her little girl last Sunday. Over a week old now, and running with the flock! 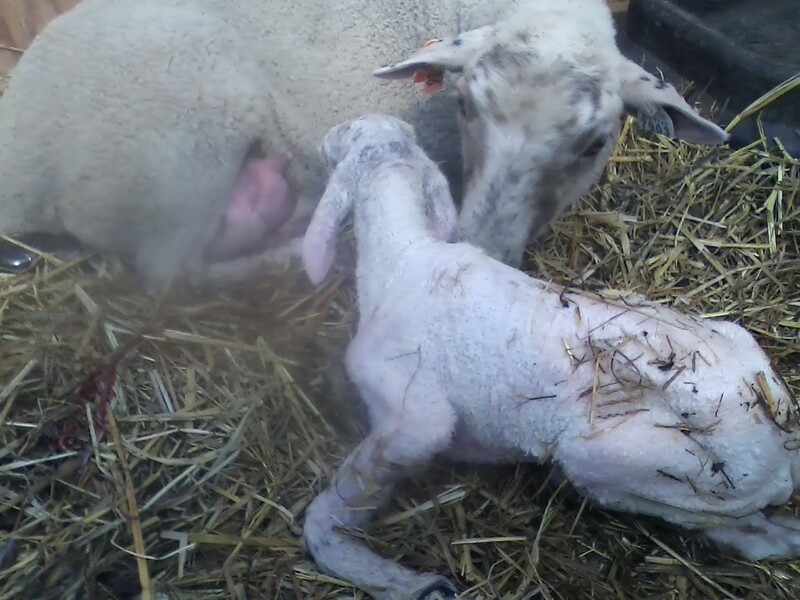 Next to lamb was “Sarah’s” lamb from last year…this is Number 36 who’s name we can’t remember…. 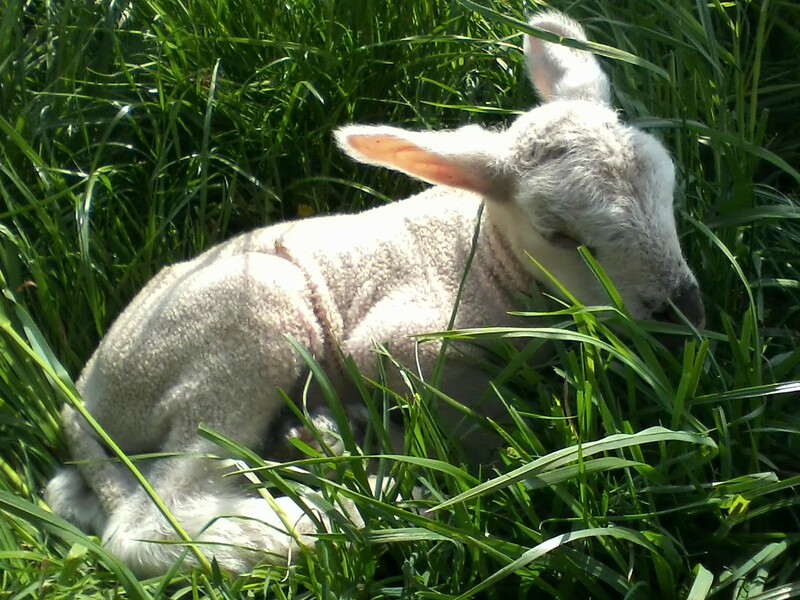 That lamb is pretty cute now, but just an hour earlier…. First tries at getting up are so hard! 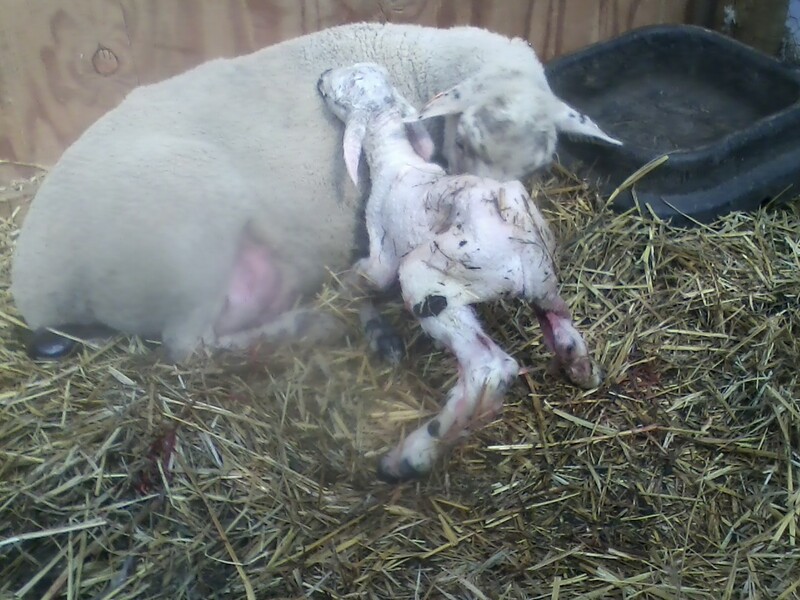 And then this morning I went over and discovered another ewe with twins! This is No. 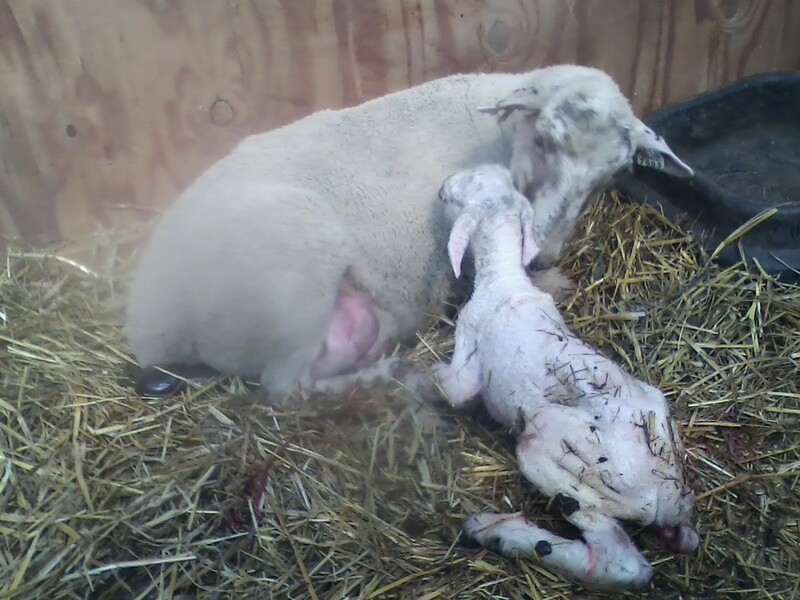 29 a two year old who is lambing for the first time. So far she seems to be a good momma and didn’t even need any help! 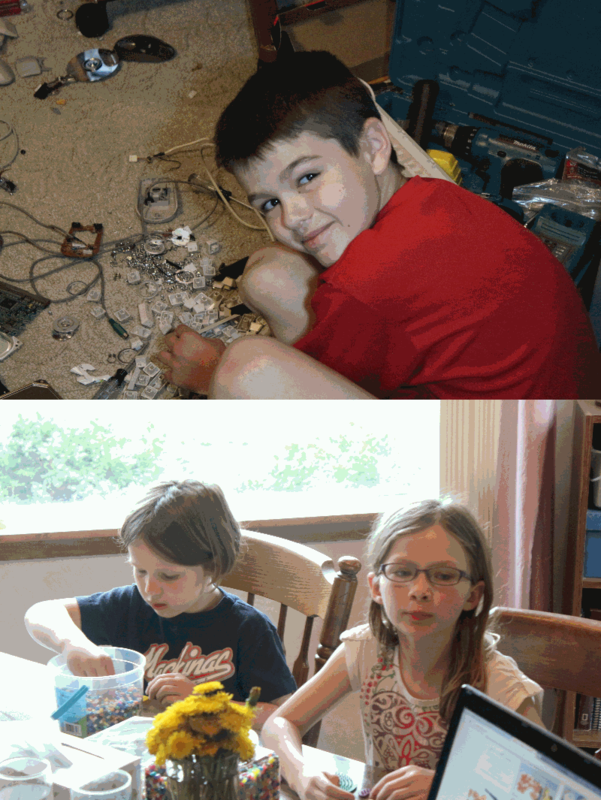 Since they were doing so well, No. 36 and her baby got to go out to the pasture today!